The function of your eavestroughs is to guide the flow of rainwater and melting snow off your roof, into the downspout and safely away from your home’s foundation. Leaking eavestrough and improper water drainage may lead to a variety of more serious issues. We install Alu-Rex products to protect your eavestroughs and prevent such damages; it’s an effective way to keep your eavestroughs performing properly, all year round! We offer the T-Rex® Continuous hanger from Alu-Rex, an innovative system for new eavestroughs. It’s installed along the entire length of your eavestroughs, making them much sturdier and more long-lasting than those mounted with spikes and hangers spaced at intervals. Installing a continuous hanger blocks ice and facilitates drainage while extending the service life of your eavestrough. 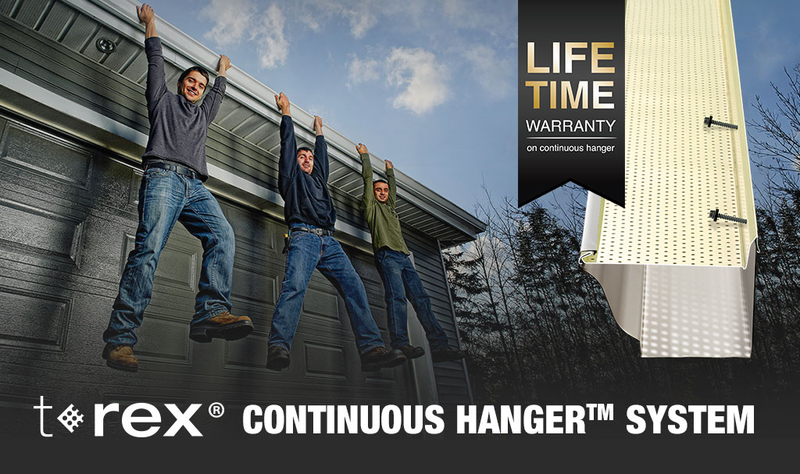 The T-Rex® Continuous Hanger comes with a lifetime warranty on material and sturdiness. It also comes with a 40-year warranty, ensuring that your eavestroughs won’t clog. Continuous Hanger : What is it? 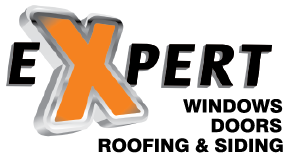 We also install Gutter Clean system® from Alu-Rex, to keep leaves and debris from getting into and clogging the eavestrough. Made of weatherproof aluminum, the Gutter Clean System will not rust, crack, chip or warp. And it is built tough to support the weight of snow and debris. With its 40-years clog-free warranty, your eavestrough will not clog. Leaves, debris, snow, and ice remain on top of the product, leaving your eavestroughs functional at all times.